Rang Kha Mhin Homestay has nice 5 rooms, all of which exude an atmosphere of total peace and harmony. 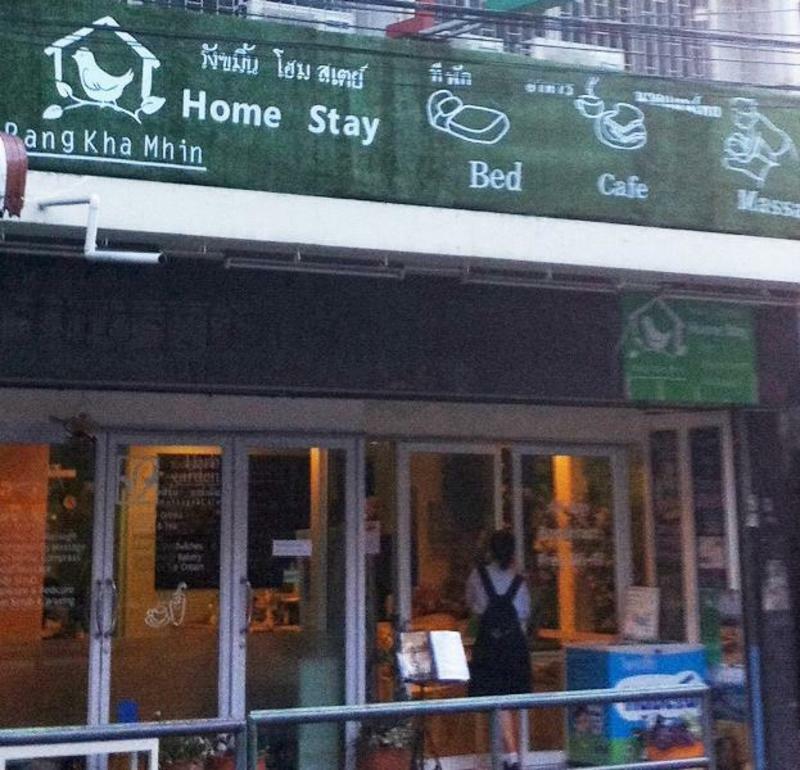 The facilities and services provide by Rang Kha Mhin homestay Bangkok Khaosan ensure a pleasant stay for guests. The hostel provides free wi-fi, in room and common area, healthy food and Thai massage. Including garden, massage, all are designed for escape and relaxation. Facilities and an excellent location make Rang kha mhin Home stay Bangkok Khaosan the perfect base from which to enjoy your stay in Bangkok. From police station at khaosan road,turn right along Jakapong rd. trun right at Tani road. Rang kha mhin is on the right side ,opposite to Nappark.